By Carl Slaughter: Betsy Wollheim has a gift for discovering new talent. The first in a DAW series on Asian-American superheroines. 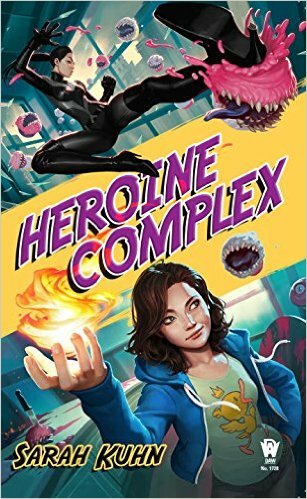 Sarah Kuhn is the author of Heroine Complex—the first in a series starring Asian American superheroines—for DAW Books. She also wrote The Ruby Equation for the comics anthology Fresh Romance and the romantic comedy novella “One Con Glory,” which earned praise from io9 and USA Today and is in development as a feature film. 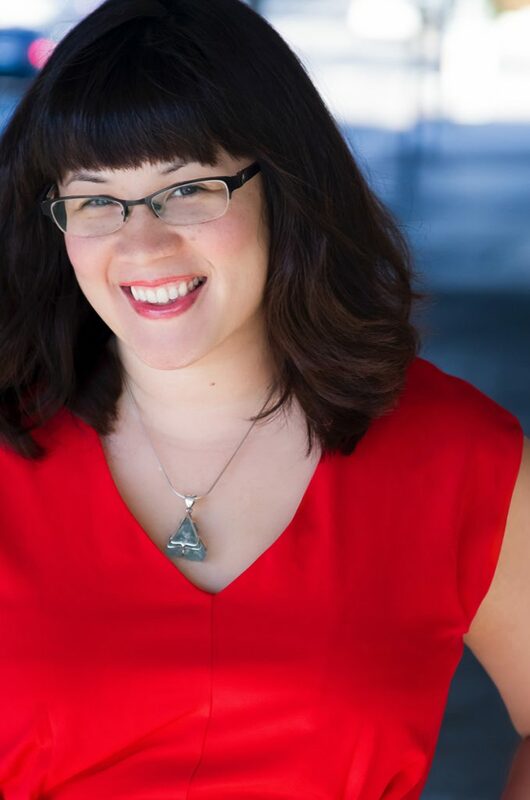 Her articles and essays on such topics as geek girl culture, comic book continuity, and Sailor Moon cosplay have appeared in Uncanny Magazine, Apex Magazine, AngryAsianMan.com, IGN.com, Back Stage, The Hollywood Reporter, StarTrek.com, Creative Screenwriting, and the Hugo-nominated anthology Chicks Dig Comics. In 2011, she was selected as a finalist for the CAPE (Coalition of Asian Pacifics in Entertainment) New Writers Award. This entry was posted in Like Show Business and tagged Carl Slaughter, Sarah Kuhn by Mike Glyer. Bookmark the permalink. Ouch. Best wishes for a speedy recovery for OGH! Home soon is better than home later, but hospital at all is awful. I’m glad to hear Mike is on the mend! Belatedly adding my own well-wishes for Mike. Adding my own wishes here for Mike’s speedy recovery. Rest up and feel better soon! I’ve heard good things about Sarah Kuhn’s book. I’ve got a copy, but haven’t read it yet. Sounds immensely fun. Also, I want to add to the good wishes for Mike Glyer’s health and quick (and complete) recovery. Thanks for the update. Really good to know that Mike will be out soon. I hope Sarah Kuhn sends Mike a nice gift or something, cuz I’ll be done with the book by the time Mike gets home. At least the page got stuck on something positive. Wanted to add late but heartfelt well wishes for your recovery, Mike – sounds like no fun at all but hopefully you’re on the mend and finding some good therapeutic things on the Kindle. I picked up Heroine Complex on my last trip europewise and it’s now sitting in my flat waiting for me to get back for good tomorrow – the reinforcement from this post is definitely pushing it to the top of the pile! Get well soon, Mike! We miss you. Mike, get well! Otherwise we will start composing memes at you or something! I’m sure he’ll be up and glying again in no time. Which makes me wonder–how many mikes could a mike glyer gly, if a mike glyer could gly mikes? I finished the book and can report it is, in fact, delightful. Funny, charming, geeky, and more moving than I expected. The cover is a perfect illustration of basically Chapter 1. Thanks for the book report. Sounds perfect for what I’m holding it for. Well, the DragonCon ballot is out, and I’m keenly feeling the lack of a post here in which to discuss the nominees. So get well soon Mike! Do I spy some pup favorites? @Elusis: Thanks for the award info! @Elusis: There’s some ongoing discussion in the August 1 Pixel Scroll thread. I am about halfway through the book at this point and enjoying it rather a lot :-). Having had a difficult friend or two myself (and perhaps having been a difficult friend a time or two) I can sympathize with the protagonist. Looking forward to the rest of it. @Bartimaeus – that’s a very long thread. Can you point to any comment links about where discussion starts? Having now finished the book, I enjoyed it quite a bit. Not quite 5 stars but a very strong 4. I also forgot that I had bought a paper copy while in Portland and mailed it to myself. Since my local public library is looking for donations of books for the recently-expanded shelves, I know what I will be doing with the extra copy. We need a conspiracy theory blaming Mike’s illness on a plot by Sarah Kuhn, based purely on cui bono.